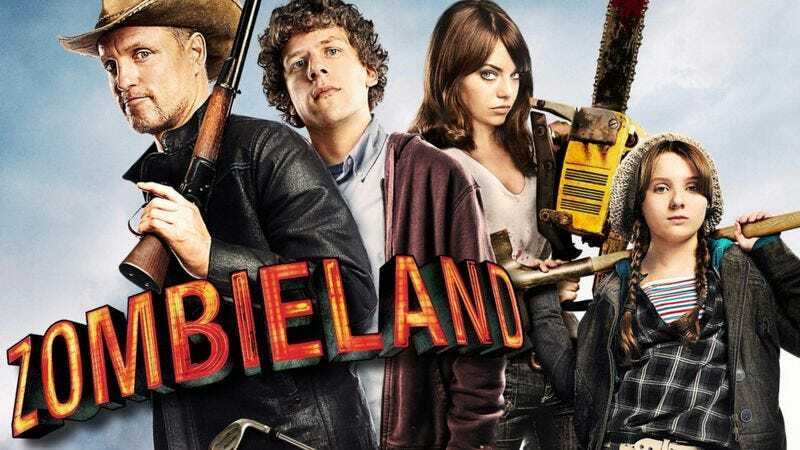 Zombieland 2 faces something of a casting problem, in that the original movie’s already-established roster has only gotten bigger, busier, and more famous in the seven years since Fleischer’s first film cardioed its way into theaters. (You might have recently caught star Jesse Eisenberg playing “supervillain Mark Zuckerberg” in a little indie film that came out last month.) And if you’re wondering why Fleischer—who’s still loosely attached to direct, because it’s not like anybody’s clamoring for Gangster Squad: The Reckoning or 31 Minutes Or Less—doesn’t just cast himself a replacement Woody Harrelson, you might want to look to the cautionary tale of Amazon’s shuttered TV adaptation, which was “hated out of existence” by the movie’s ardent, imitation-hating fans.